We talked forever ago about the latest installment of the Shattered Records Club and it’s finally been making it’s way out. 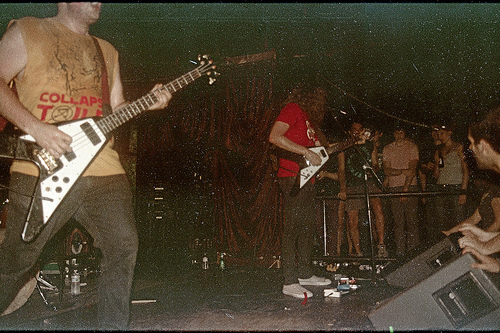 The pack included an exclusive 7″ by Jay Reatard that featured his last two demos, a LIVE LP, a shirt, and some other goodies. We think that if you haven’t ordered it, you still might be able to jump on it before they’re all gone [or all on eBay] Our buddies over at Certified PR did everyone a favor by uploading both tracks from the single to youtube so everyone can hear them. We went ahead and posted them after the click down there. Both of the tracks are great and follow-up where Jay had left off with Watch Me Fall. To think about the things Jay would have done in the year-and-a-half that he’s been gone only bums us out and makes us realize exactly how influential and great of an artist he was. RIP Jay.